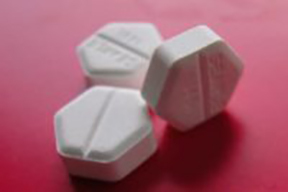 Many abortion activists will have been delighted at the news that women will be able to self-administer abortion pills in their own homes. The head of the RCOG [Royal College of Obstetricians and Gynecologists] is on record claiming that having an abortion is no different to having a bunion removed. Ironically, with this change that activists have been campaigning for, women will soon realise abortion is definitely not the same as removing a bunion – when they see the baby they have to flush down the toilet. But say we ignore any possible emotional damage to women (that not all will experience of course) and instead look at the claims being made that medical abortions are safe and self-administering the abortion pill is progress for women. What does the peer reviewed evidence show us? When self-administering pills, there is no control over: who takes the pills; where the pills are taken; whether the pills are taken; when in the process the pills are taken; if the girl is vulnerable or in an abusive/coercive relationship; if abuse or coercion is involved in taking the pills or if another (competent) adult is present.